Portfolios are not just always changing because of the underlying assets; they’re also doing so in a constantly moving set of contexts. Prospero is an automated Portfolio Management tool which inherently recognizes every shift that can occur in this framework, before making the appropriate adjustments ‘Drift analysis’ is automatically conducted to establish how far a portfolio has moved from its target model. 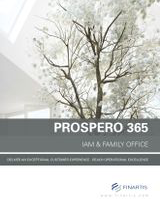 Prospero then recalibrates the portfolio in the context of its individual investment constraints, compliance rules, tax constraints and cash projections. The result is a solution which empowers Portfolio Managers by automatically restoring portfolios to their targets. Clients have placed portfolio managers in a privileged position, trusting them with their family’s capital and their longterm prosperity. This responsibility demands that porfolio managers are proactive to the client’s needs. 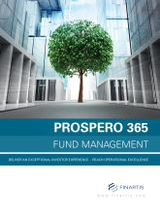 Prospero helps you to be more proactive by suggesting targeted investments to your current portfolios. It’s proactive because you are. Prospero provides users with the ability to suggest the most suitable investment for each and every portfolio. 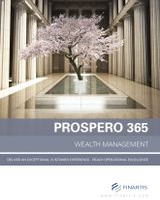 As with all the best portfolio managers, Prospero’s aims are to consistently exceed client expectations with regard to their time horizons, investment objectives and constraints. Our configurable order life-cycles are designed to be simple and efficient, while maintaining multi-broker relationships. You can quickly and easily generate pre-filled multi-portfolios or multi-securities orders. 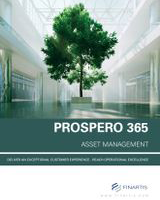 Prospero supports a large range of asset classes, from the most common ones such as Long/short equity, Fixed-Income and Funds to more complex derivatives and illiquid classes such as Private equity and Real estate. Prospero’s Order Management checks the compliance with the defined set of rules, including regulatory, and performs collateral monitoring on leveraged portfolios.